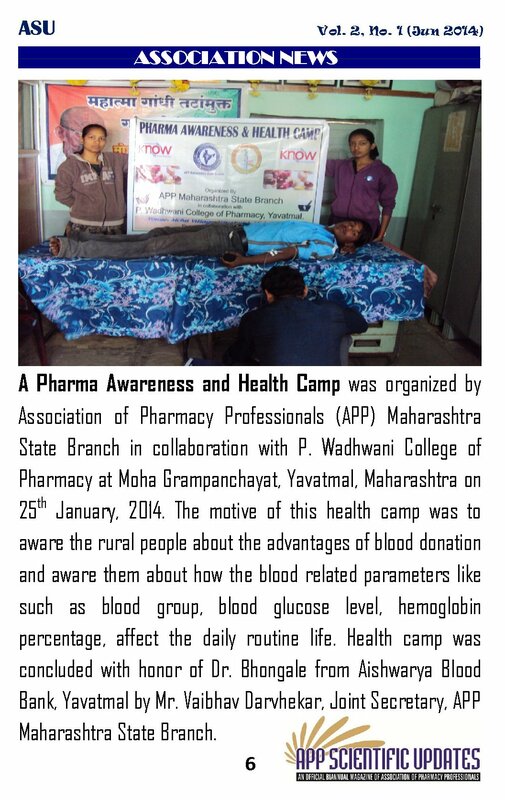 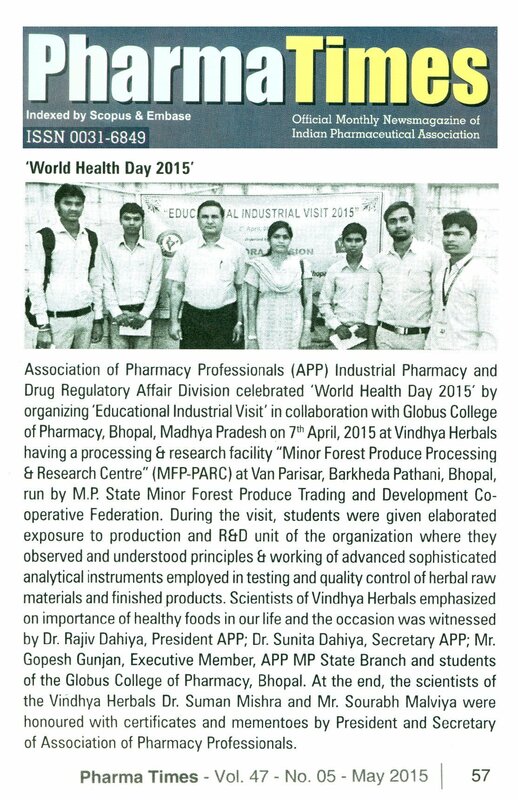 Association of Pharmacy Professionals (APP) Industrial Pharmacy and Drug Regulatory Affair Division celebrated ‘World Health Day 2015’ by organizing ‘Educational Industrial Visit’ in collaboration with Globus College of Pharmacy, Bhopal, Madhya Pradesh on 7th April, 2015 at “Vindhya Herbals” having a processing & research facility “Minor Forest Produce Processing & Research Centre” (MFP-PARC) at Van Parisar, Barkheda Pathani, Bhopal, run by M.P. 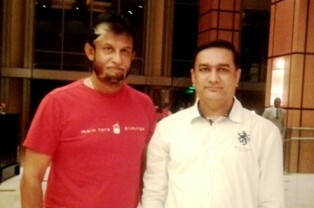 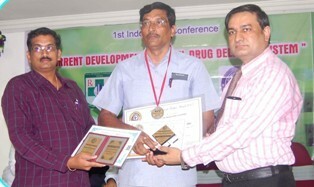 State Minor Forest Produce Trading and Development Co-operative Federation. 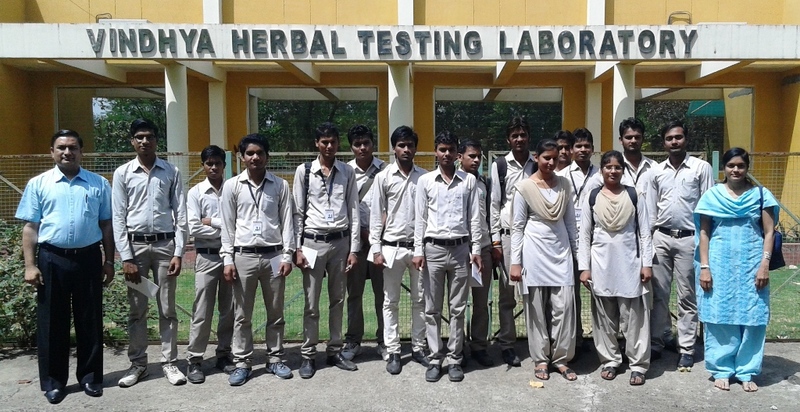 During the visit, students were given elaborated exposure to production and R & D unit of the organization where they observed and understood principles and working of advanced sophisticated analytical instruments employed in testing and quality control of herbal raw materials and finished products. 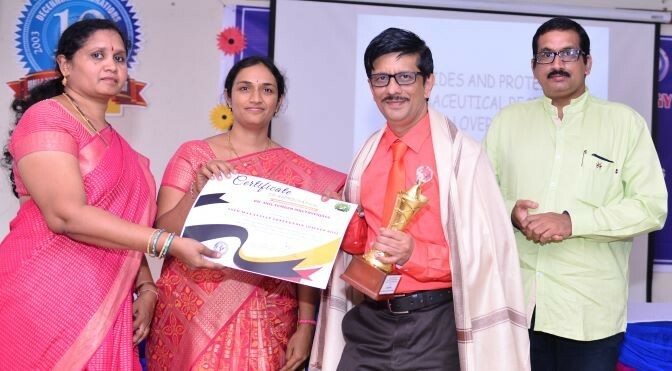 Students were also exposed to honey processing unit, production of asavas and arishtas as well as herbal tablets, capsules and powders along with their quality control, packaging and labelling. 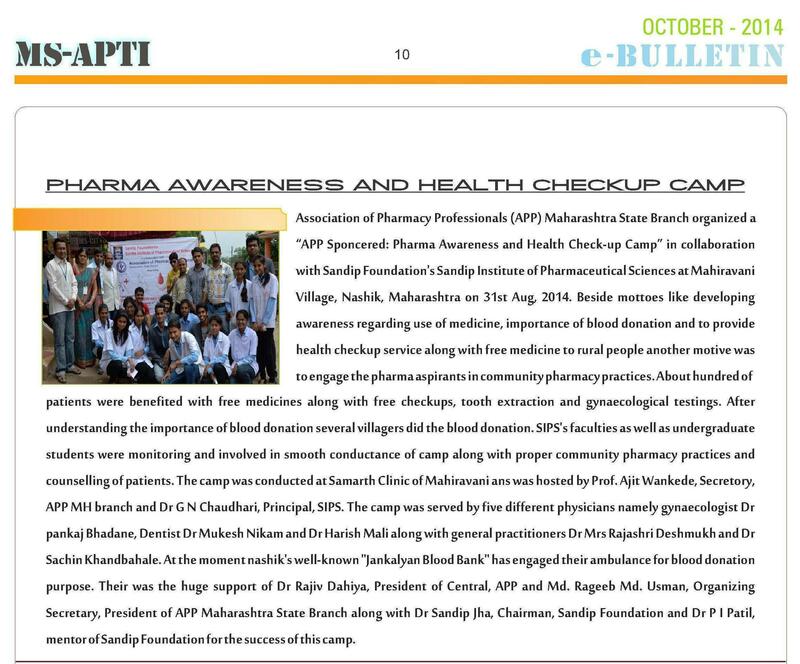 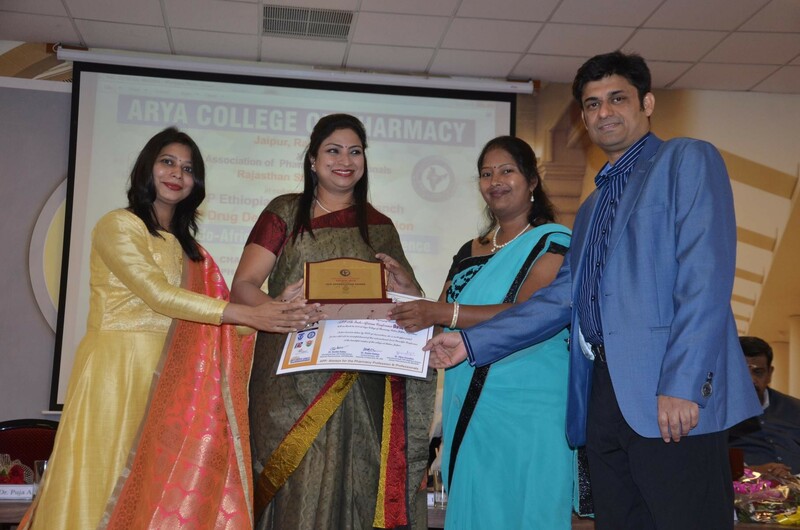 Scientists of Vindhya Herbals emphasized on importance of healthy foods in our life and the occasion was witnessed by Dr. Rajiv Dahiya, President APP; Dr. Sunita Dahiya, Secretary APP; Mr. Gopesh Gunjan, Executive Member, APP Madhya Pradesh State Branch and B.Pharm students of the Globus College of Pharmacy, Bhopal (MP). 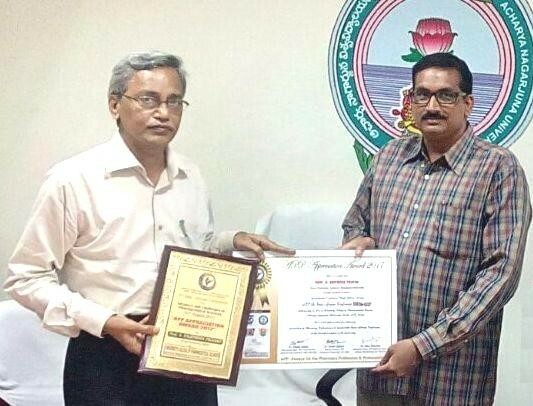 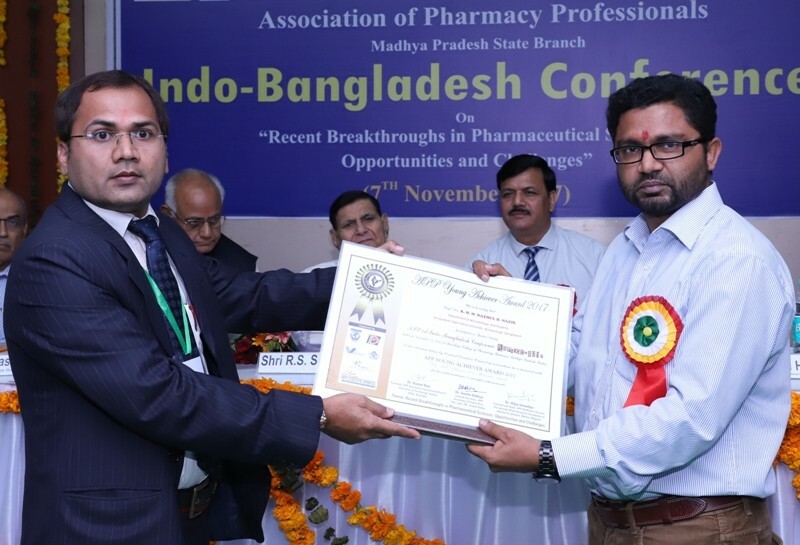 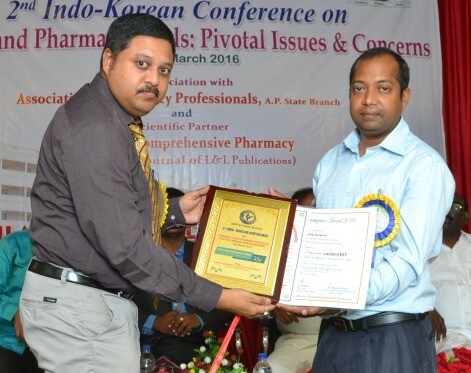 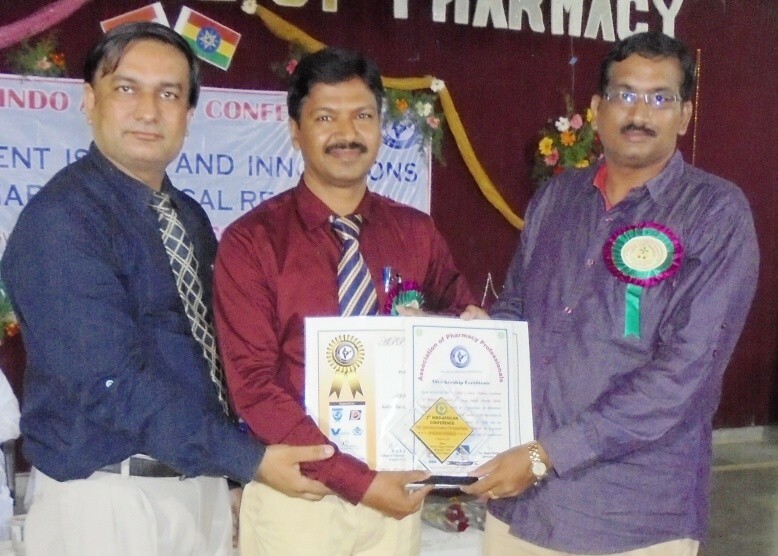 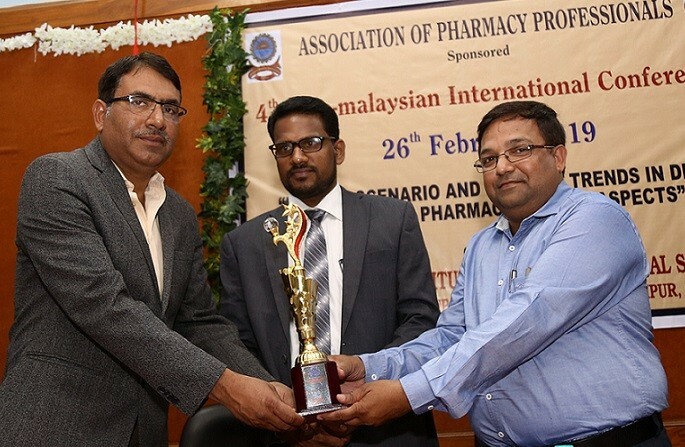 At the end, the scientists of the Vindhya Herbals Dr. Suman Mishra and Mr. Sourabh Malviya were honoured with certificates and mementoes by President and Secretary of Association of Pharmacy Professionals. 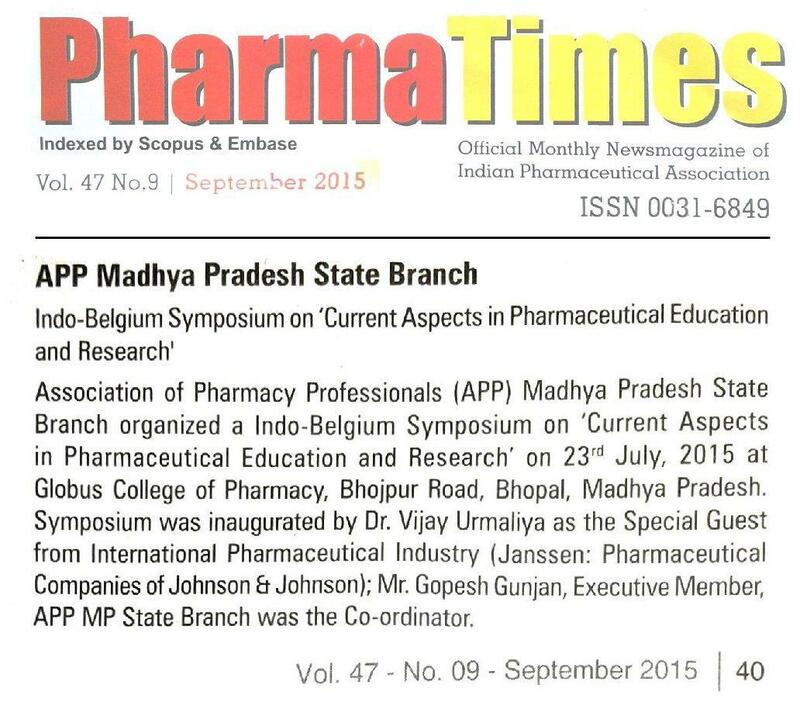 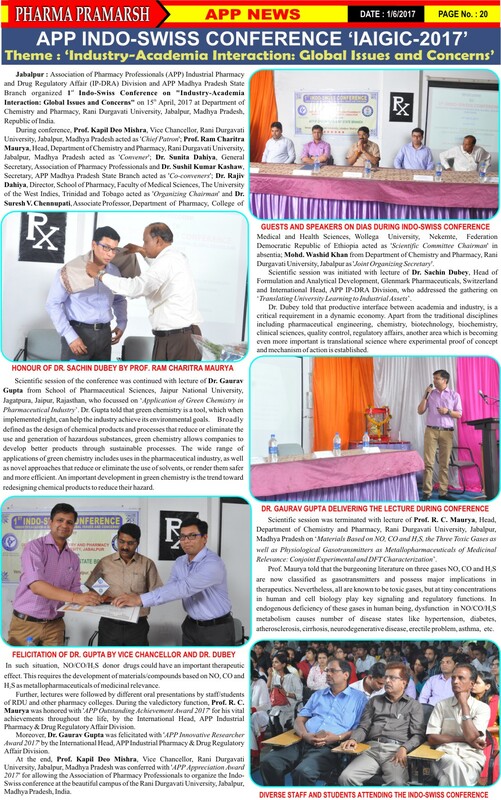 Association of Pharmacy Professionals (APP) Drug Regulatory Affair (IP-DRA) Division and APP Madhya Pradesh State Branch organized 1st Indo-Swiss Conference on “Industry-Academia Interaction: Global Issues and Concerns” on 15th April, 2017 at Department of Chemistry and Pharmacy, Rani Durgavati University, Jabalpur, Madhya Pradesh, Republic of India. 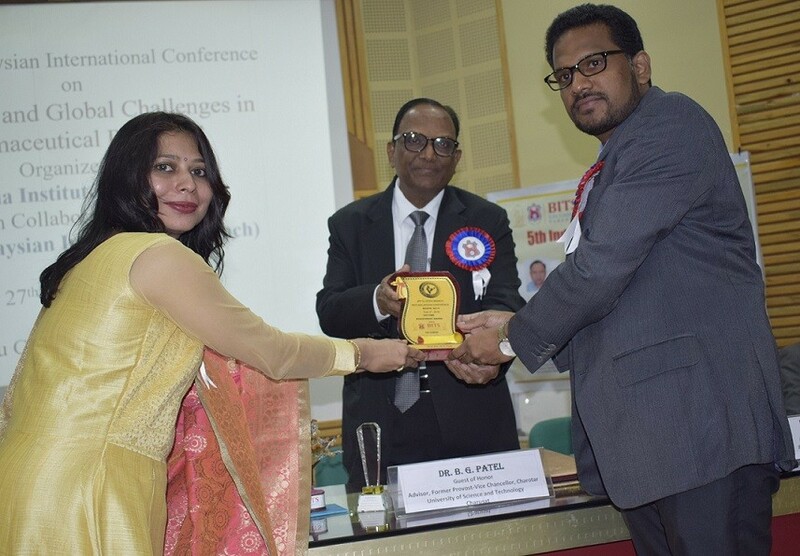 During conference, Prof. Kapil Deo Mishra, Vice Chancellor, Rani Durgavati University, Jabalpur, Madhya Pradesh acted as ‘Chief Patron‘; Prof. Ram Charitra Maurya, Head, Department of Chemistry and Pharmacy, Rani Durgavati University, Jabalpur, Madhya Pradesh acted as ‘Convener‘; Dr. Sunita Dahiya, General Secretary, Association of Pharmacy Professionals and Dr. Sushil Kumar Kashaw, Secretary, APP Madhya Pradesh State Branch acted as ‘Co-conveners‘; Dr. Rajiv Dahiya, Director, School of Pharmacy, Faculty of Medical Sciences, The University of the West Indies, Trinidad and Tobago acted as ‘Organizing Chairman‘ and Dr. Suresh V. Chennupati, Associate Professor, Department of Pharmacy, College of Medical and Health Sciences, Wollega University, Nekemte, Federation Democratic Republic of Ethiopia acted as ‘Scientific Committee Chairman‘ in absentia; Mohd. 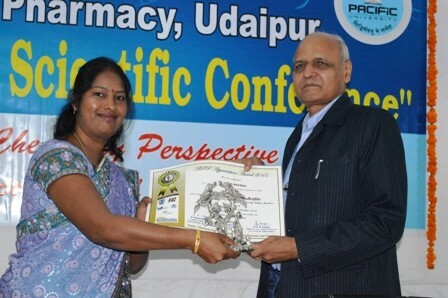 Washid Khan from Department of Chemistry and Pharmacy, Rani Durgavati University, Jabalpur as ‘Joint Organizing Secretary‘. 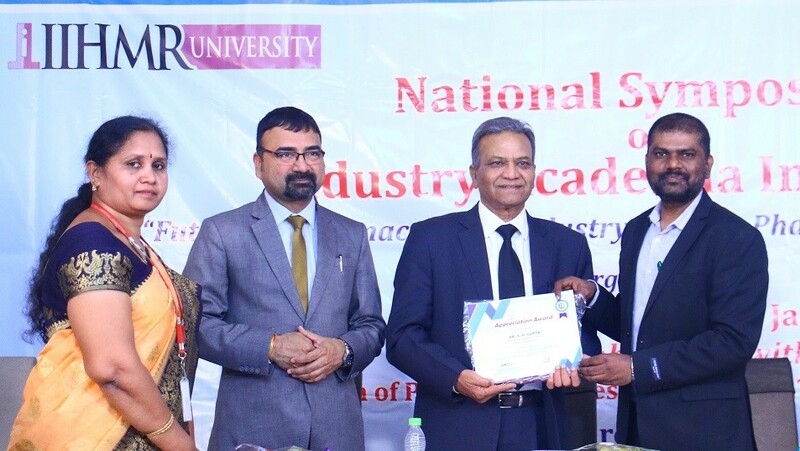 Scientific session was initiated with lecture of Dr. Sachin Dubey, Head of Formulation and Analytical Development, Glenmark Pharmaceuticals, Switzerland and International Head, APP IP-DRA Division, who addressed the gathering on ‘Translating University Learning to Industrial Assets’. 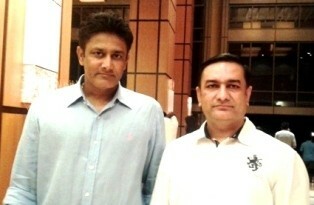 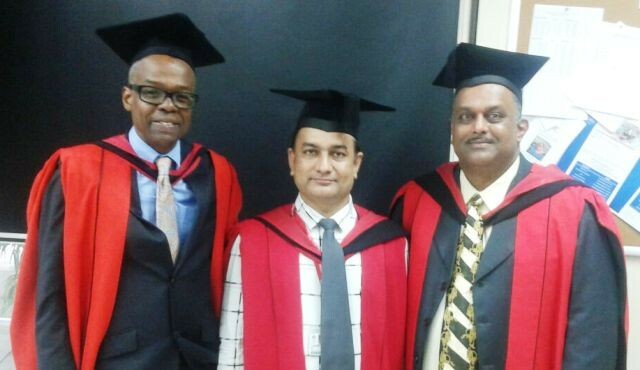 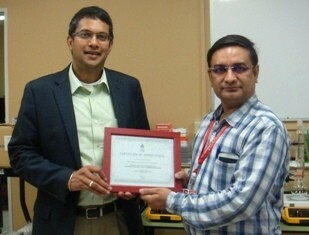 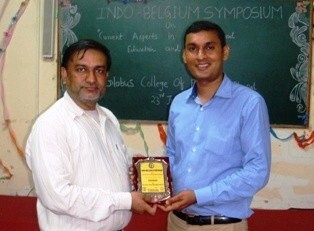 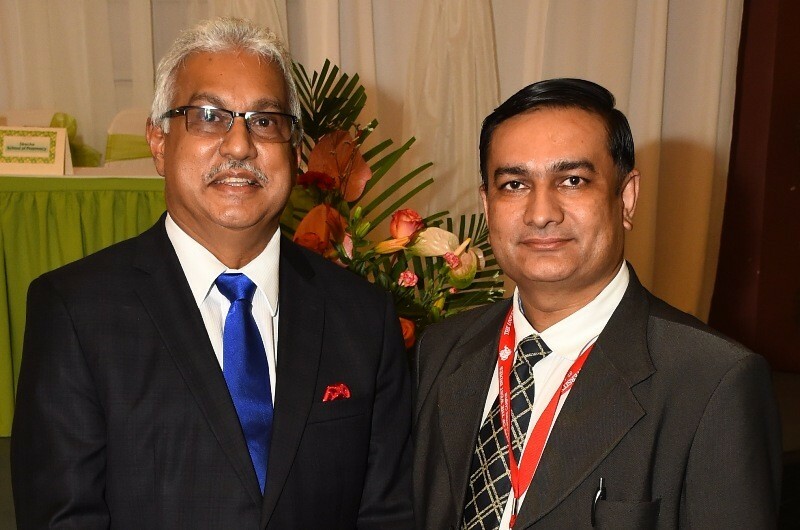 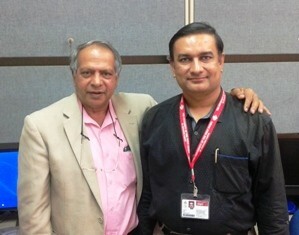 Dr. Dubey told that productive interface between academia and industry, is a critical requirement in a dynamic economy. 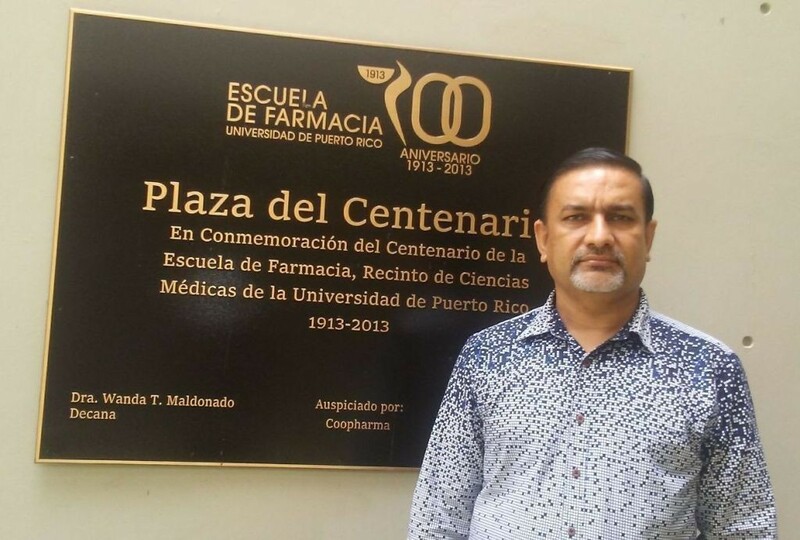 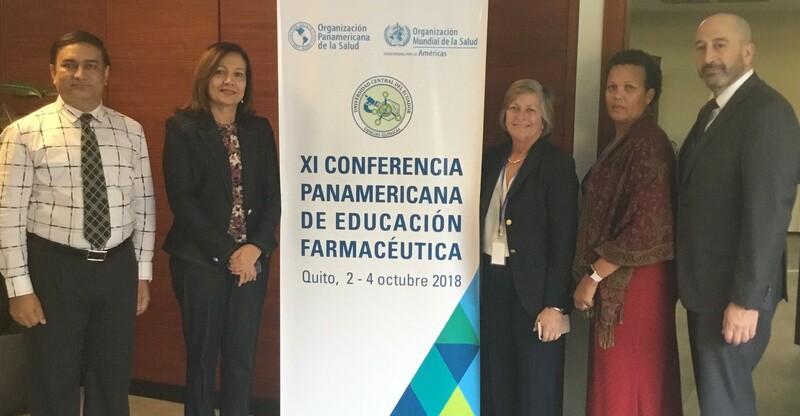 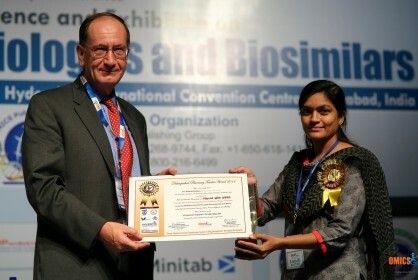 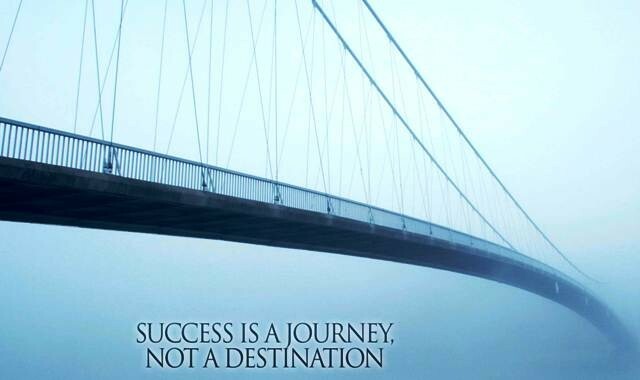 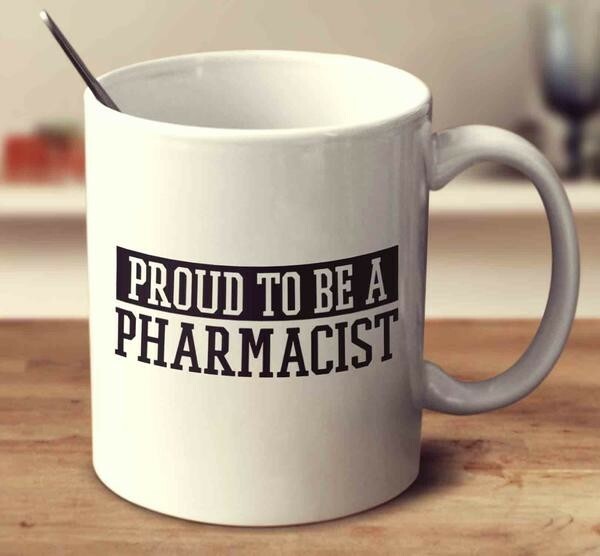 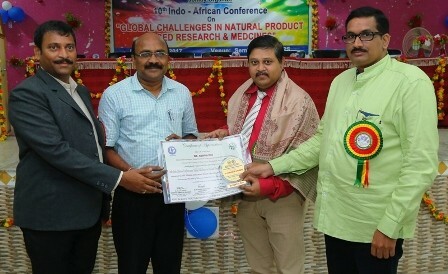 Apart from the traditional disciplines including pharmaceutical engineering, chemistry, biotechnology, biochemistry, clinical sciences, quality control, regulatory affairs, another area which is becoming even more important is translational science where experimental proof of concept and mechanism of action is established. 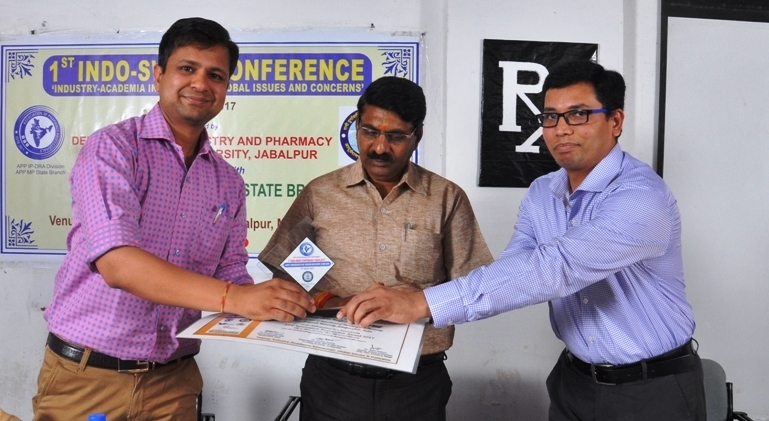 Scientific session of the conference was continued with lecture of Dr. Gaurav Gupta from School of Pharmaceutical Sciences, Jaipur National University, Jagatpura, Jaipur, Rajasthan, who focussed on ‘Application of Green Chemistry in Pharmaceutical Industry’. 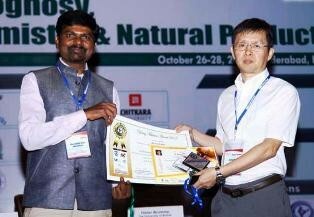 Dr. Gupta told that green chemistry is a tool, which when implemented right, can help the industry achieve its environmental goals. 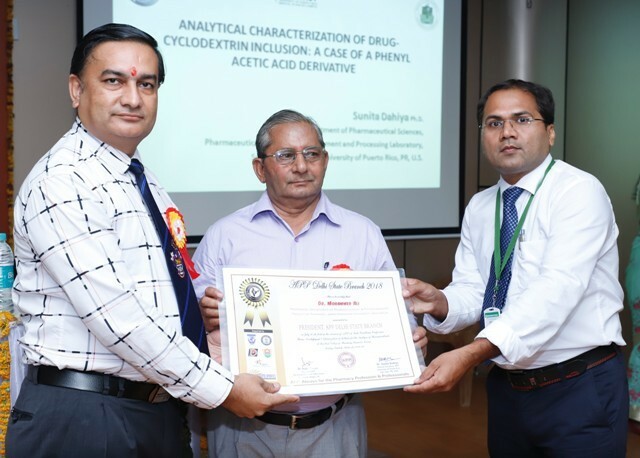 Broadly defined as the design of chemical products and processes that reduce or eliminate the use and generation of hazardous substances, green chemistry allows companies to develop better products through sustainable processes. 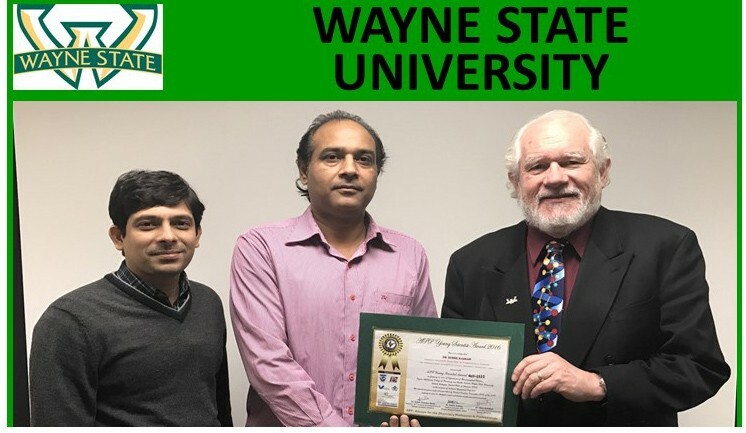 The wide range of applications of green chemistry includes uses in the pharmaceutical industry, as well as novel approaches that reduce or eliminate the use of solvents, or render them safer and more efficient. 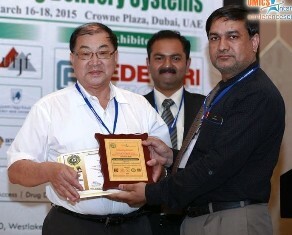 An important development in green chemistry is the trend toward redesigning chemical products to reduce their hazard. 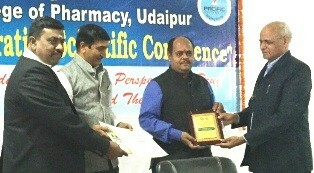 Scientific session was terminated with lecture of Prof. R. C. Maurya, Head, Department of Chemistry and Pharmacy, Rani Durgavati University, Jabalpur, Madhya Pradesh on ‘Materials Based on NO, CO and H2S, the Three Toxic Gases as well as Physiological Gasotransmitters as Metallopharmaceuticals of Medicinal Relevance: Conjoint Experimental and DFT Characterization’. 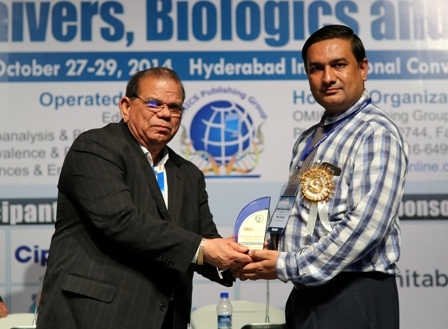 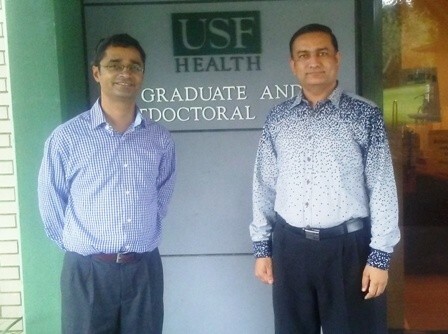 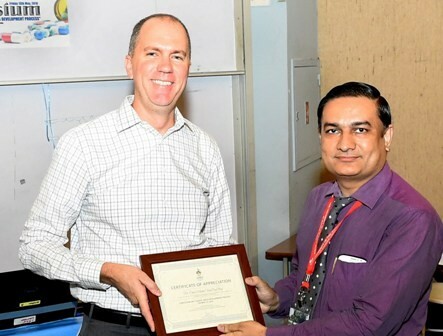 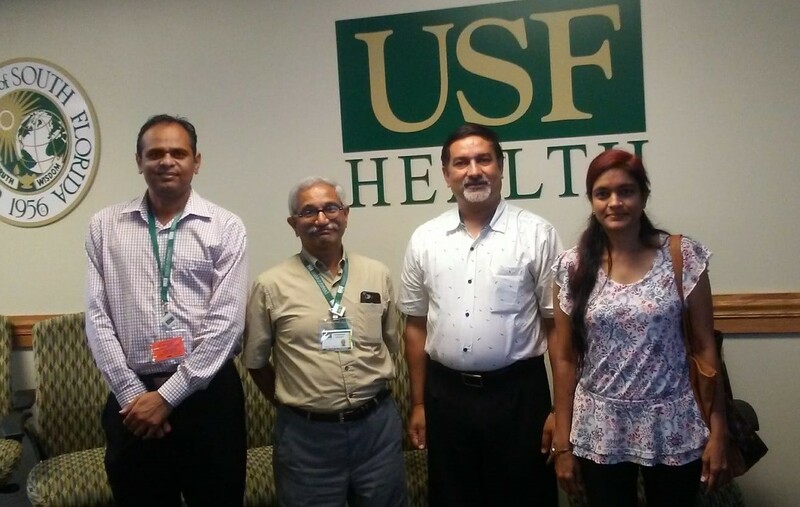 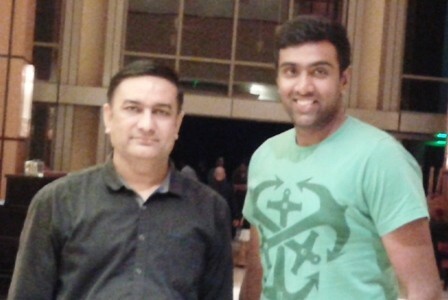 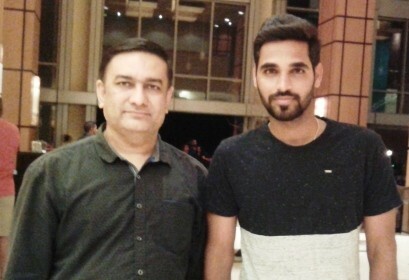 Prof. Maurya told that the burgeoning literature on three gases NO, CO and H2S are now classified as gasotransmitters and possess major implications in therapeutics. 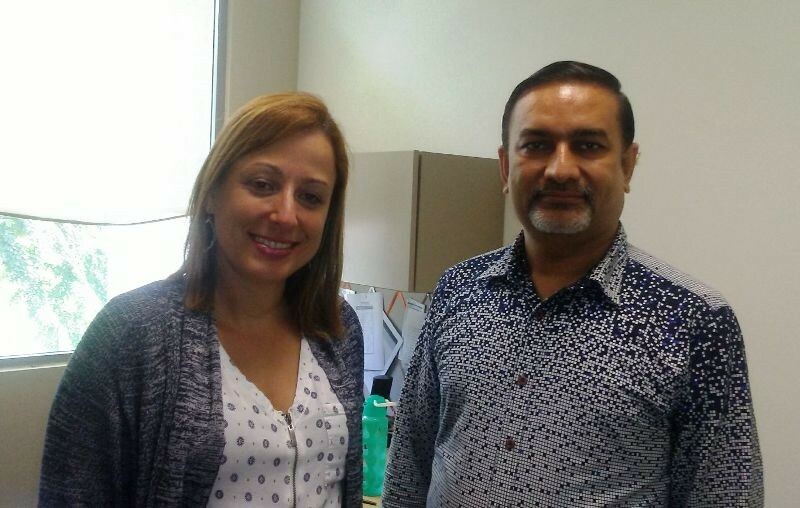 Nevertheless, all are known to be toxic gases, but at tiny concentrations in human and cell biology play key signaling and regulatory functions. 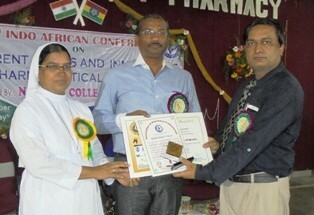 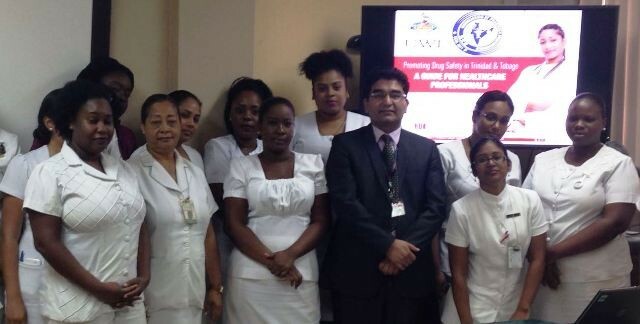 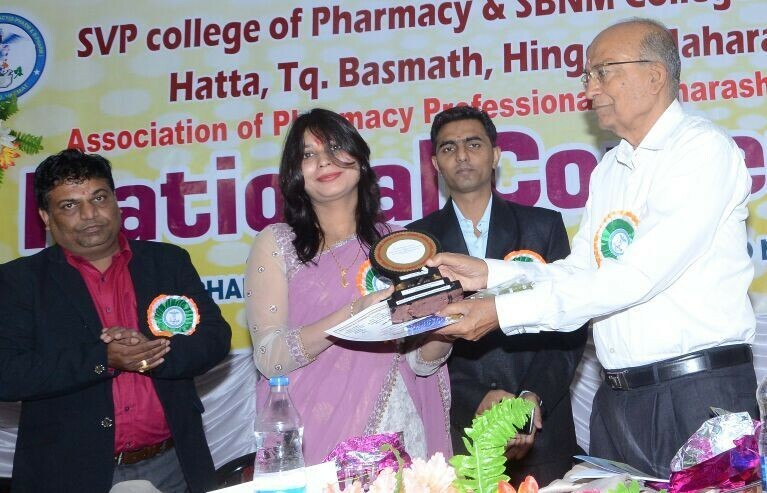 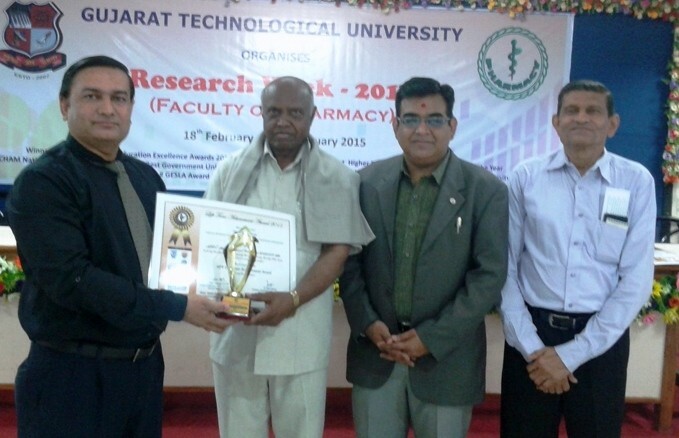 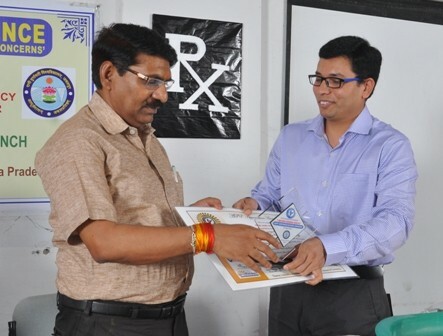 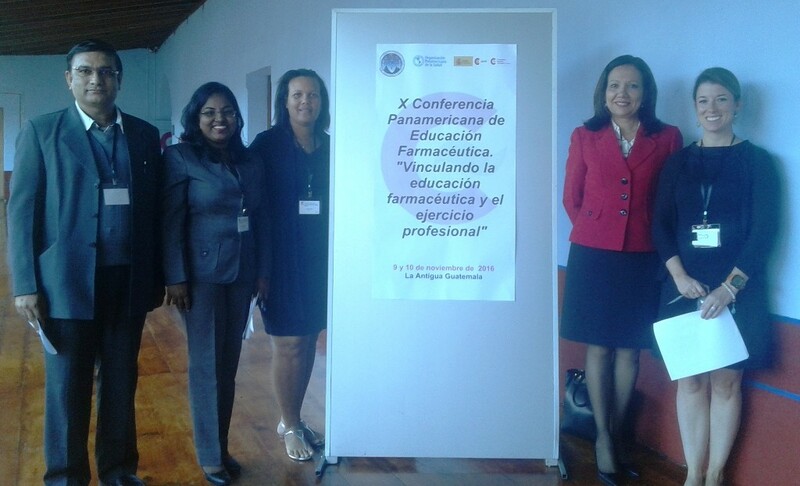 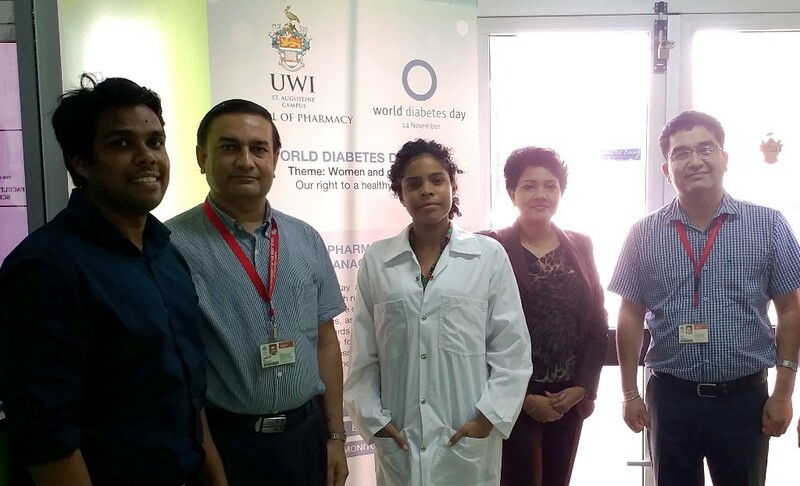 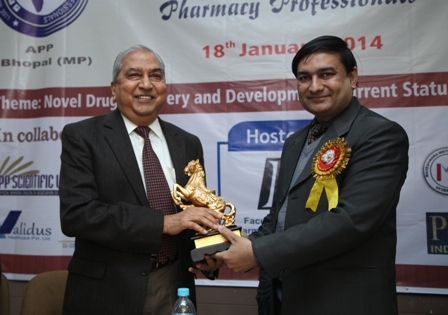 Further, lectures were followed by different oral presentations by staff/students of RDU and other pharmacy colleges. 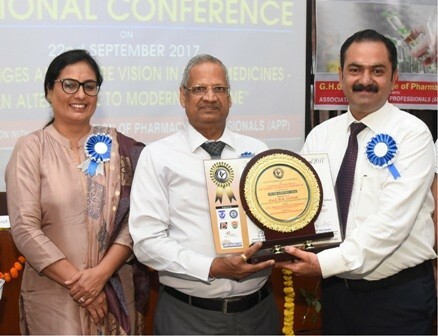 During the valedictory function, Prof. R. C. Maurya was honored with ‘APP Outstanding Achievement Award 2017‘ for his vital achievements throughout the life, by the International Head, APP Industrial Pharmacy & Drug Regulatory Affair Division. 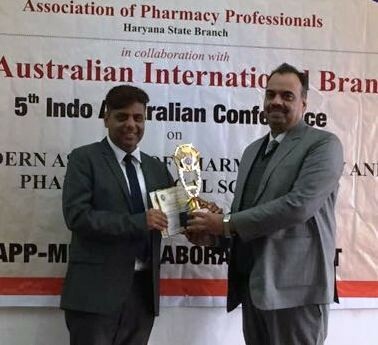 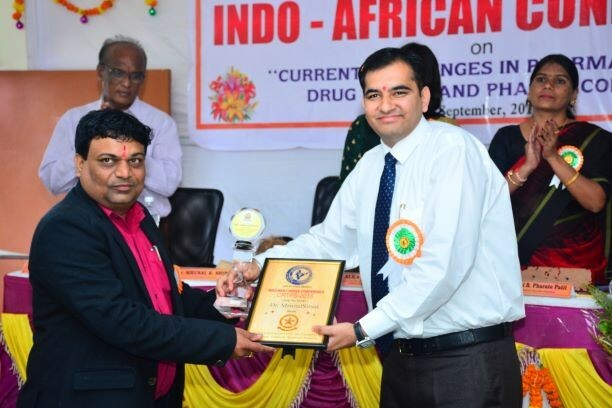 Moreover, Dr. Gaurav Gupta was felicitated with ‘APP Innovative Researcher Award 2017‘ by the International Head, APP Industrial Pharmacy & Drug Regulatory Affair Division. 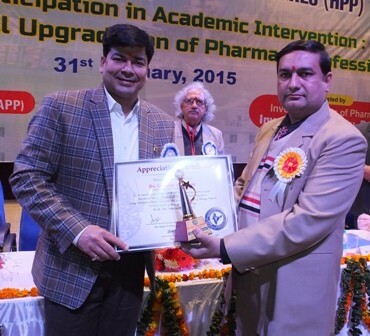 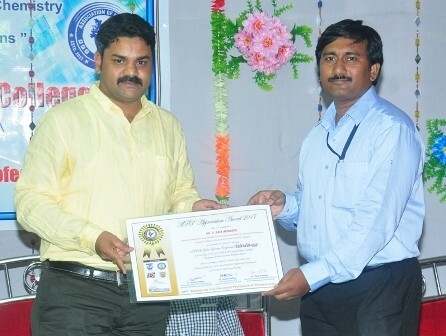 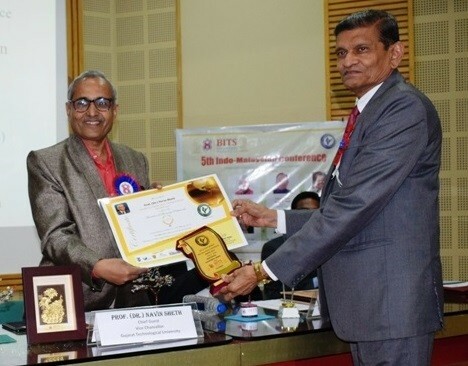 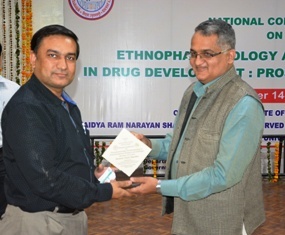 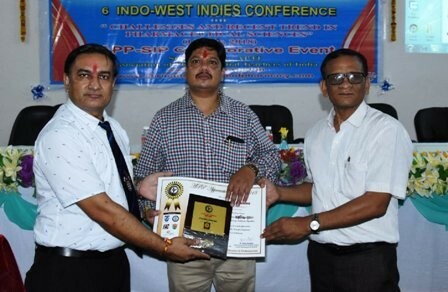 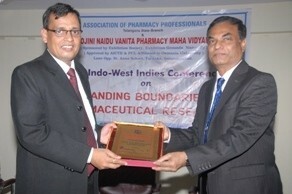 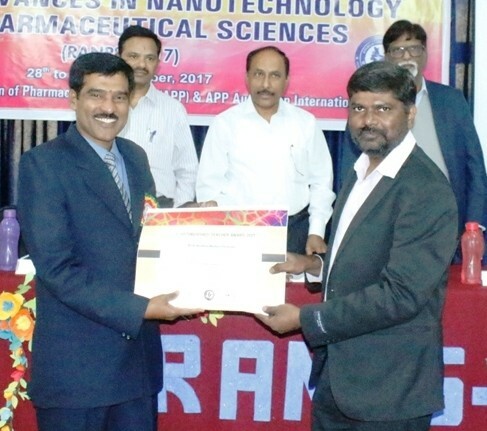 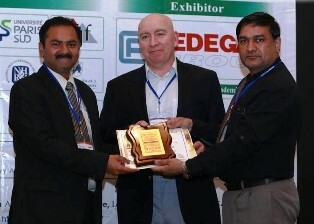 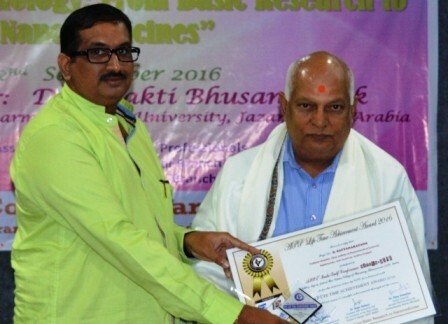 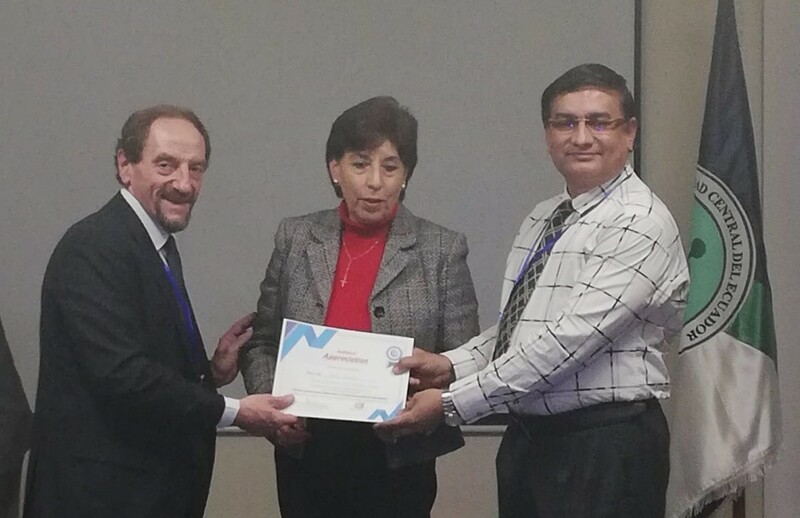 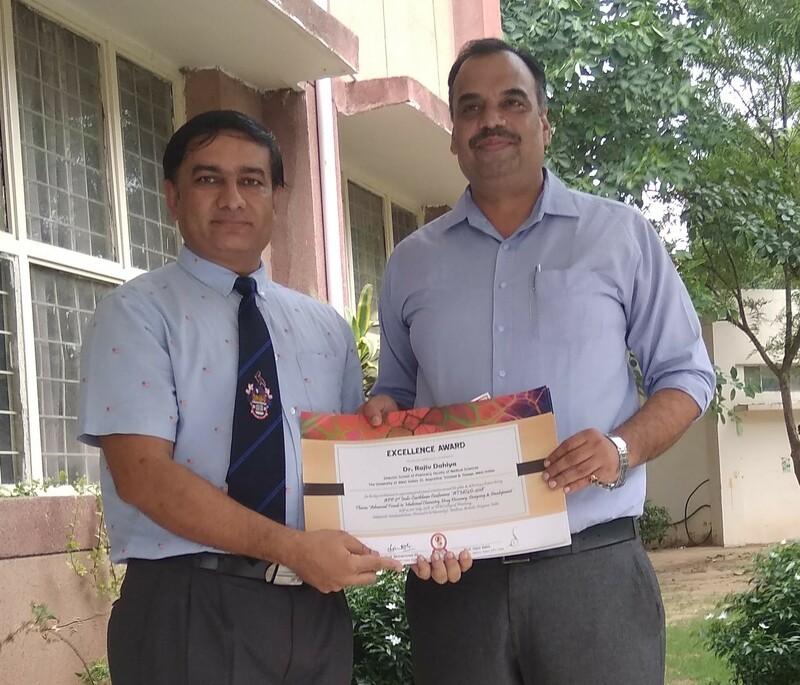 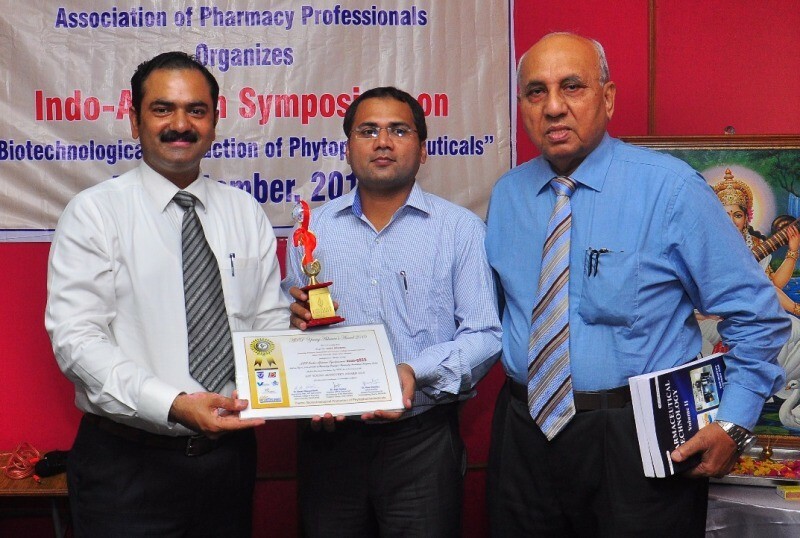 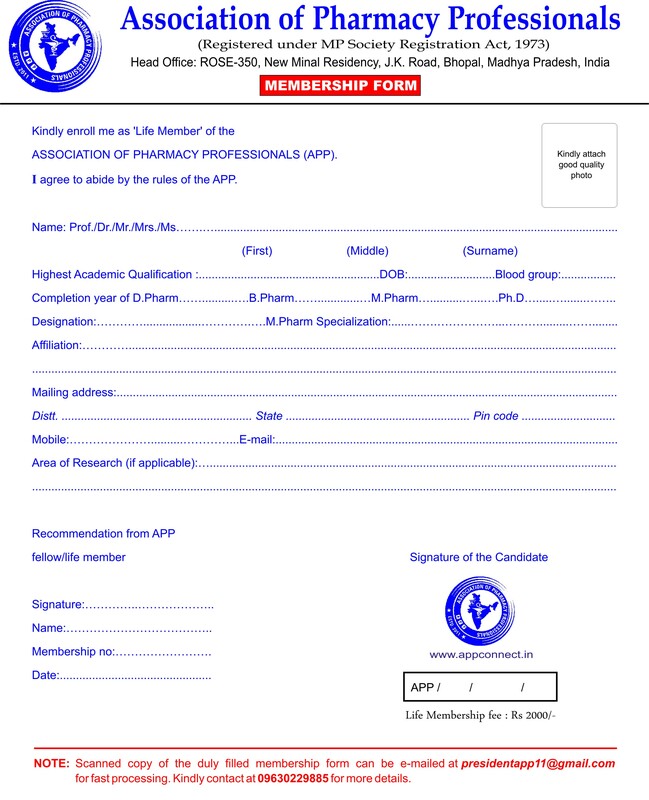 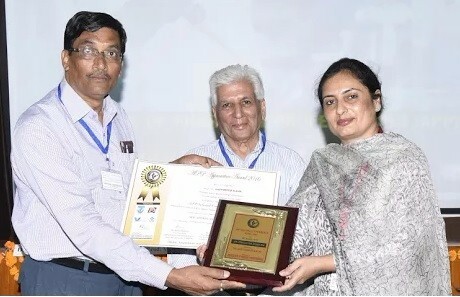 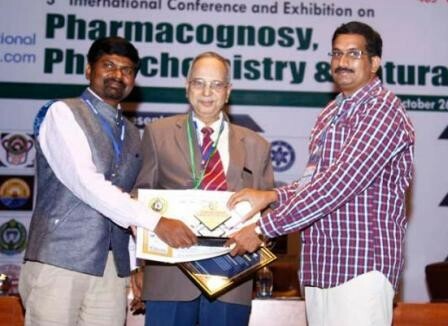 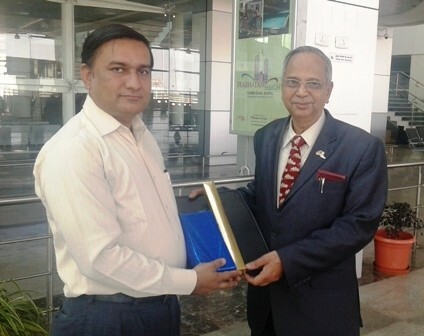 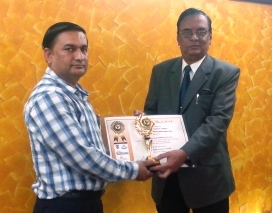 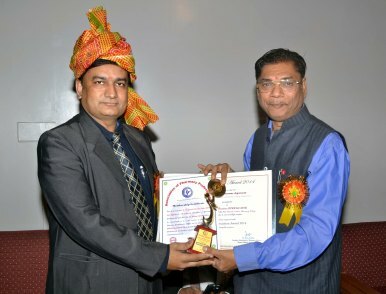 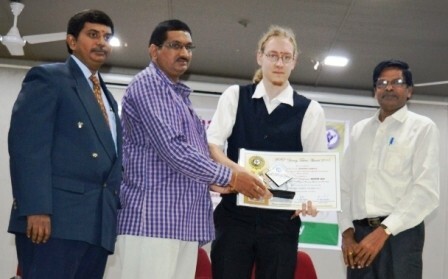 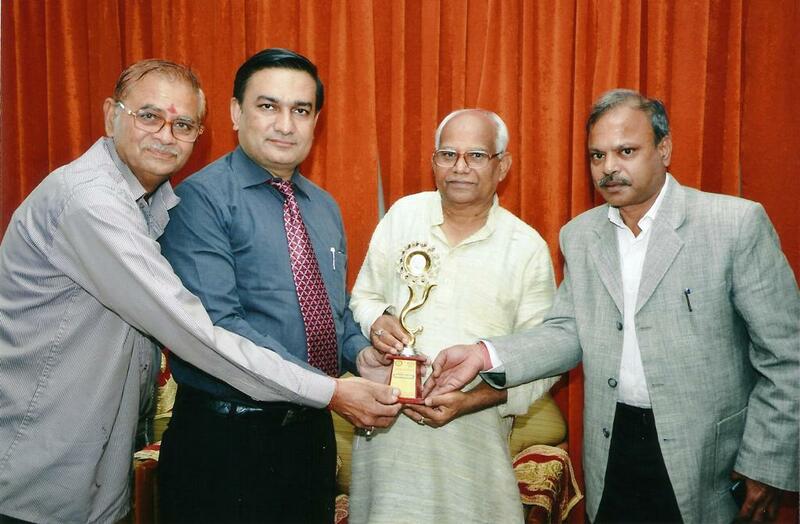 At the end, Prof. Kapil Deo Mishra, Vice Chancellor, Rani Durgavati University, Jabalpur, Madhya Pradesh was conferred with ‘APP Appreciation Award 2017′ for allowing the Association of Pharmacy Professionals to organize the Indo-Swiss conference at the beautiful campus of the Rani Durgavati University, Jabalpur, Madhya Pradesh, India. 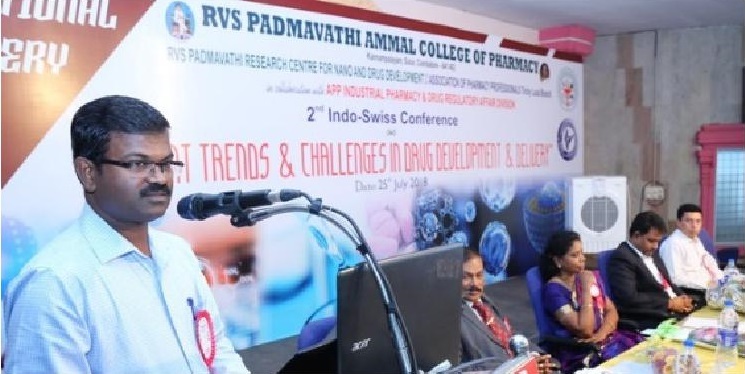 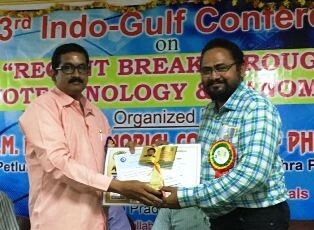 Association of Pharmacy Professionals (APP) Trichy Local Branch and APP Industrial Pharmacy & Drug Regulatory Affair Division jointly organized 2nd Indo-Swiss Conference on “Current Trends & Challenges in Drug Development & Delivery” on 25th July 2018 at RVS Padmavathi Ammal College of Pharmacy, Coimbatore, Tamilnadu, in collaboration with RVS Padmavathi Research Centre for Nano and Drug Development. 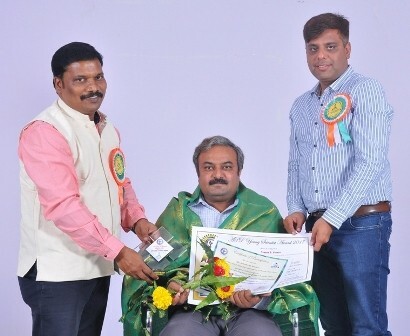 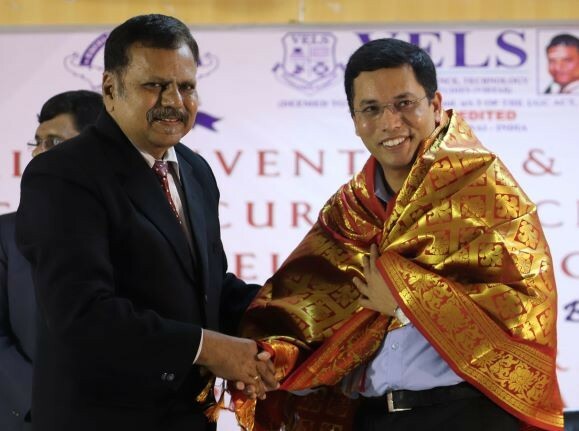 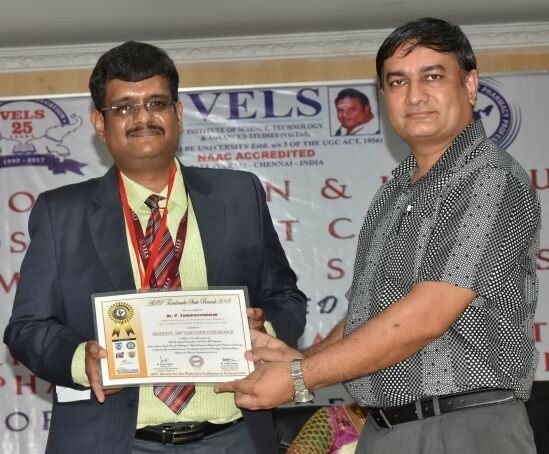 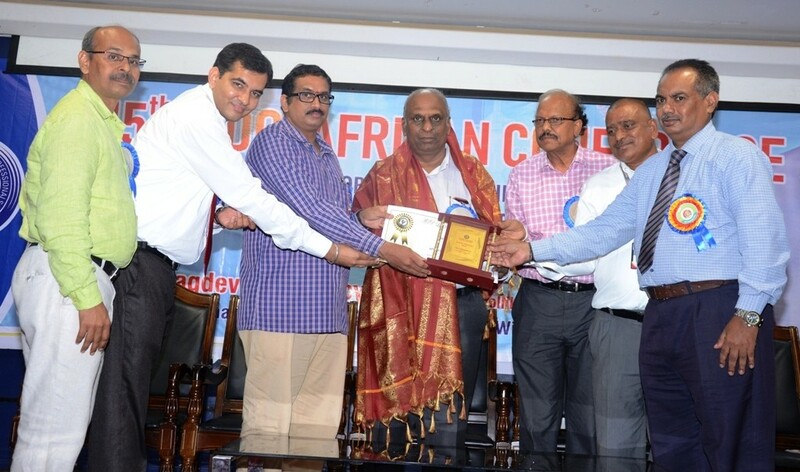 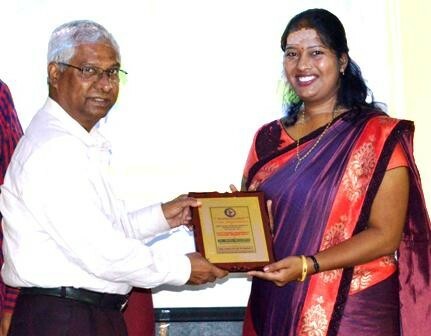 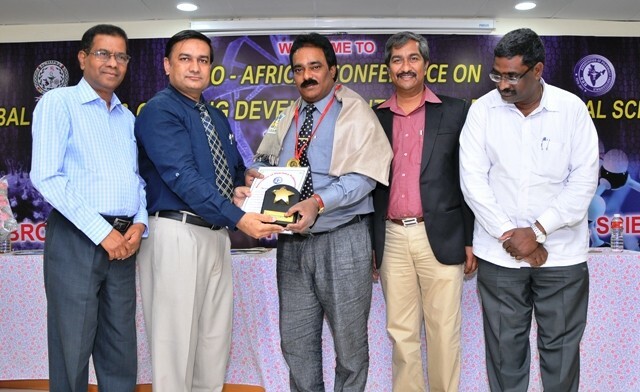 This APP-RVSPACP collaborative conference was witnessed by Dr. K. V. Kuppusamy, Chairman, RVS Eudcational Trust, Kannampalayam, Sulur, Coimbatore, Tamilnadu as ‘Chief Patron‘; Dr. K. Senthil Ganesh, Managing Trustee, RVS Eudcational Trust as ‘Patron‘; Dr. Sunita Dahiya, General Secretary, Association of Pharmacy Professionals from Department of Pharmaceutical Sciences, School of Pharmacy, University of Puerto Rico, San Jan, PR, USA as ‘Organizing Chairman‘; Prof. R. Manavalan, Director, RVS Padmavathi Ammal College of Pharmacy, Kannampalayam, Sulur, Coimbatore, Tamilnadu as ‘Convener‘ and Dr. Rajiv Dahiya, Director, School of Pharmacy, Faculty of Medical Sciences, The University of the West Indies, St. Augustine, Trinidad & Tobago as ‘Scientific Committee Chairman’. 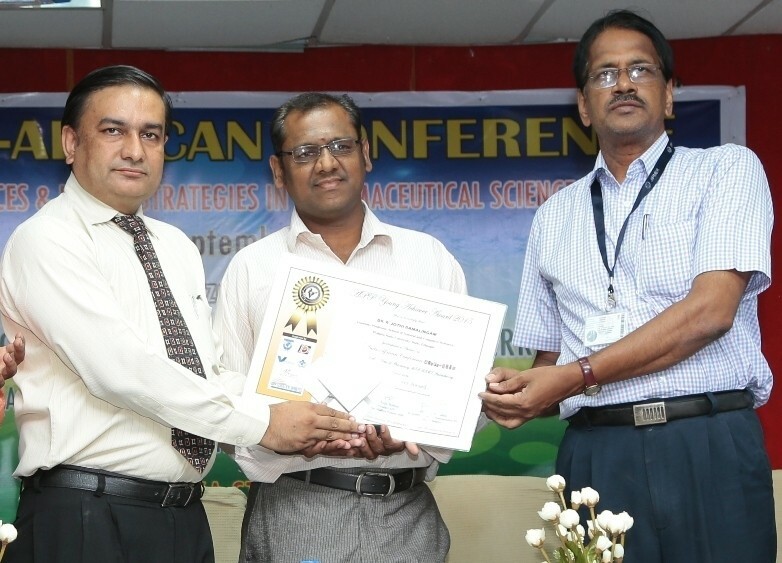 Scientific session of the conference was enriched with lectures of Dr. Sachin Dubey, International Head, APP IP-DRA Division and Head, Formulation Development (Biologics), Glenmark Pharmaceuticals S.A., Switzerland; Dr. Palanisamy Selvamani, Head, APP Trichy Local Branch from Department of Pharmaceutical Technology, Anna University, BIT Campus, Trichy, Tamilnadu and Mr. R. Ayyappa Dhas, Drug Inspector, Govt. 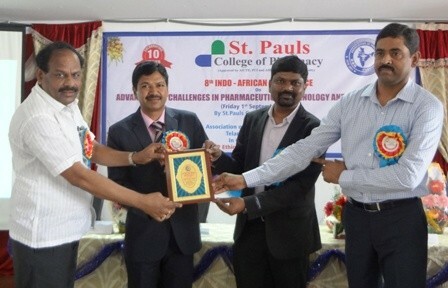 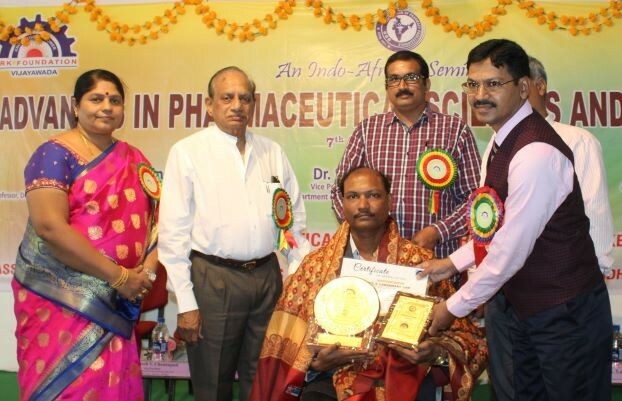 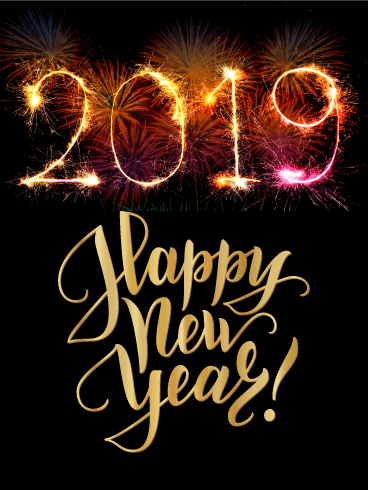 of Tamilnadu, on different topics of pharmaceutical interest like ‘Changing paradigm from small molecule success to macromolecular innovation’, ‘Advances in magnetic nanoparticles mediated targeted drug delivery’ and ‘Global clinical trials – ICH guidelines’. 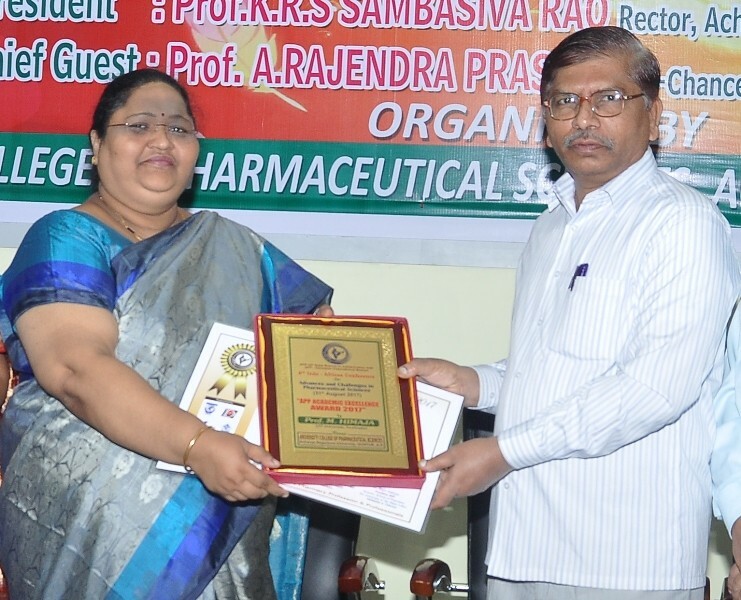 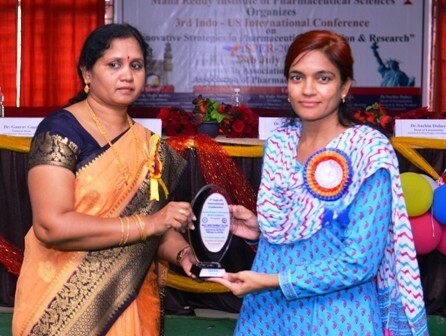 The conference ended with vote of thanks by Dr. C. Vijaya Raghavan, Principal, RVS Padmavathi Ammal College of Pharmacy, Coimbatore, Tamilnadu.